Thurrock’s road safety team will be offering road safety advice and information to visitors at the 2015 Orsett Show in September. Set in 30 acres of countryside, the annual Orsett Show is a great day out with attractions for all the family, and one of Thurrock’s most popular family events. It is one of England’s oldest one-day country shows, with the 109th show taking place on Saturday 5 September (10.00am – 5.00pm). Around 300 companies, schools, charities and other organisations came together to provide a fun filled family day which was attended by more than 13,500 people in 2014. 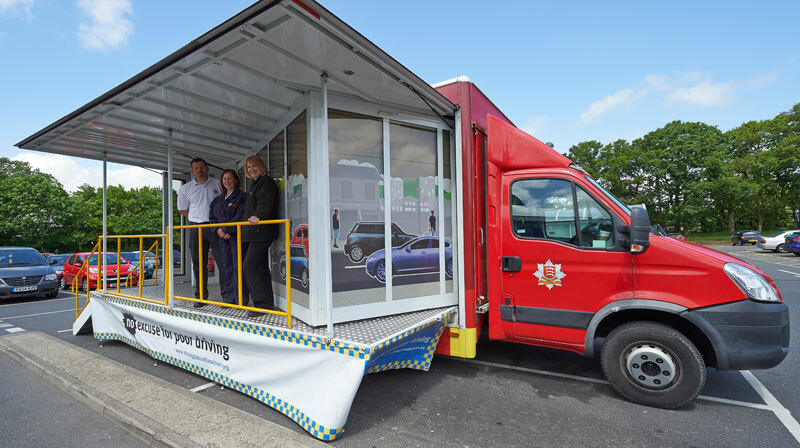 Thurrock’s road safety team will be supported at the Orsett Show by Community Wheels, a multi-media presentation vehicle used to engage and educate on road safety issues, particularly for young and newly qualified drivers. The Community Wheels presentation focuses on the ‘fatal 4’ causes of road traffic collisions: speeding, drink and drug driving, seatbelt wearing and distraction. Community Wheels serves as a partnership platform for multi-agency road safety events and activities.